Bernhard Thies, born in 1951, studied power engineering at RWTH Aachen, followed by his doctorate at Institut für Allgemeine Elektrotechnik und Hochspannungstechnik. 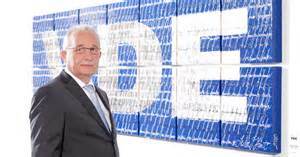 In 1999, Dr Thies started as deputy managing director of the DKE (German Commission for Electrical, Electronic & Information Technologies of DIN and VDE), followed with a nomination as chairman of the Board of Directors in May 2007. As secretary of the German National Committee of IEC and CENELEC, Dr Thies also represents German interests in various management committees. In March 2014, he was elected as chairman for the External Relations Committee of CEN, CENELEC and ETSI. His CENELEC presidency will last from 2016 until 2018.